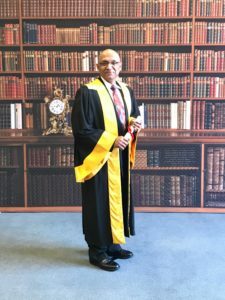 In May 2018, Dr. Raju Thomas was inducted into the prestigious Fellowship of the Royal College of Surgeons in Scotland, a distinction that recognizes some of the world’s top surgeons. 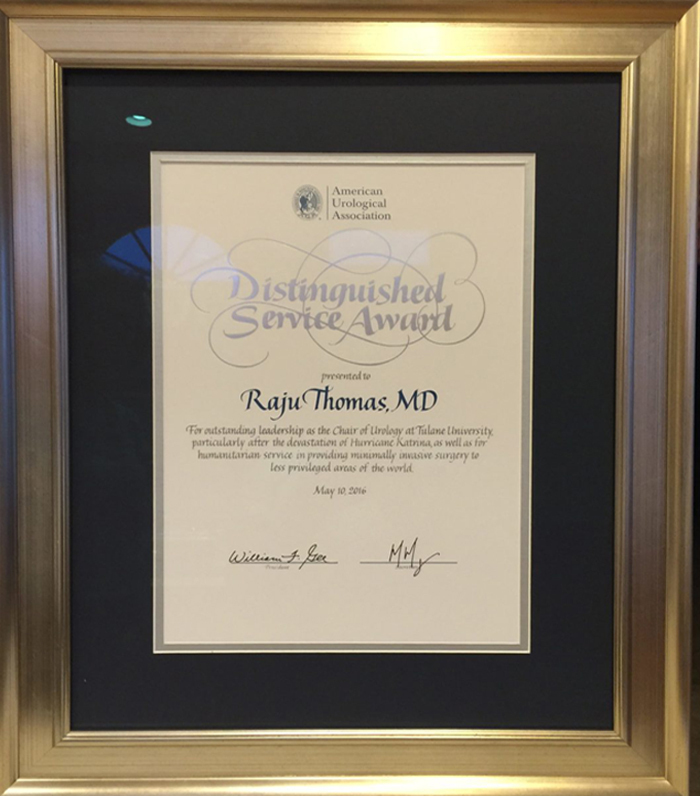 For outstanding leadership as the Chair of Urology at Tulane University, particularly after the devastation of Hurricane Katrina, as well as for humanitarian service in providing minimally invasive surgery to less privileged areas of the world. Presented at the Annual of the American Urological Association, San Diego, CA in May 2016. The Dr. Raju Thomas – AUA Endourological Society Endowed Fellowship was established in 2014. This endowment will, in perpetuity, support a fellow to advance skills in endourology. This fellowship is conducted through the AUA-Urology Care Foundation (UCF) match program. 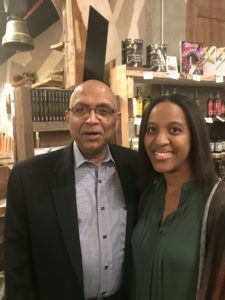 Ginny and Raju Thomas are grateful for the opportunity to advance the field of minimally invasive urologic surgery. The First Raju Thomas-AUA Endourology Fellow.